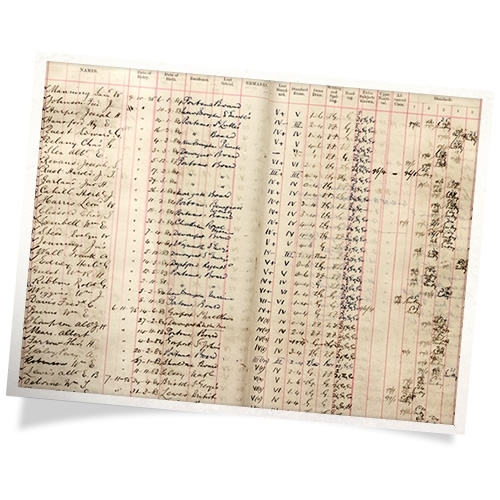 One of the most precious items in a school’s history is its archive of registers. Oftentimes, there is only one copy, and for the most part these are handwritten. Because of this, automatic character recognition is almost impossible. In these cases we meticulously and manually transcribe the original documents after scanning and processing so that the information contained is fully searchable. The result is a document that allows for searches in all sorts of detail. For example, it would be able to tell how many OBs went to Touche Rosse, or how many doctors there are (all this information is stored in metadata alongside each name in the register). The scanned images of the register is combined into a page linked database, into which additional data can be added, if it becomes available at a later date. SDS School Records Management offers two alternative packages for archiving registers: either a fully-comprehensive solution, with everything scanned and all the data read and inputted by our staff; or a collection of scanned images with page-linked database, but without manually transcribing all of the information contained within. Both packages can be added to one of our heritage systems.